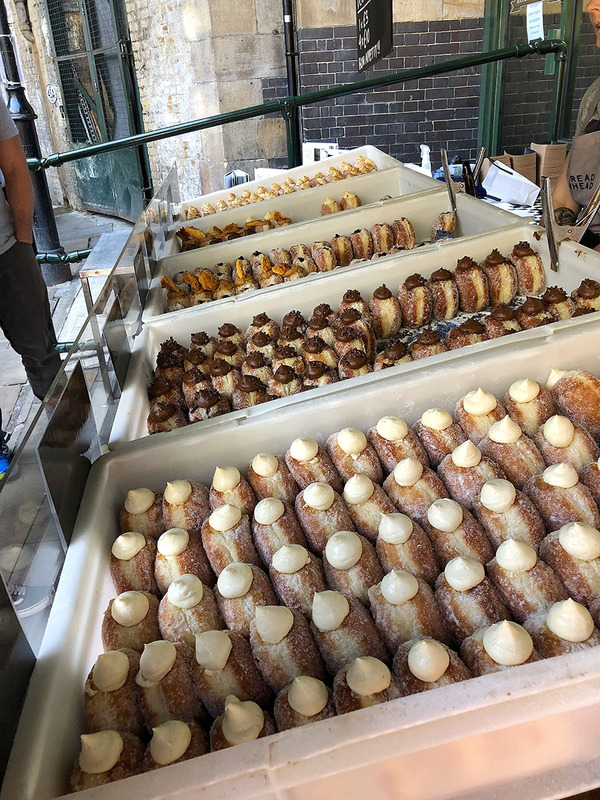 Borough Market is definitely one of the Street Food hotspots in London. 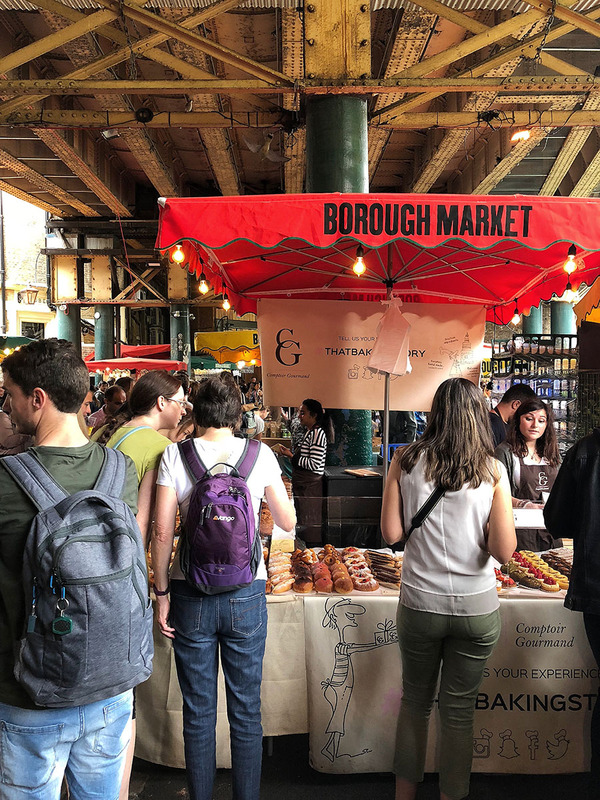 If you love to eat, you should, without any doubt add Borough Market to your list of things to see during your visit to London. 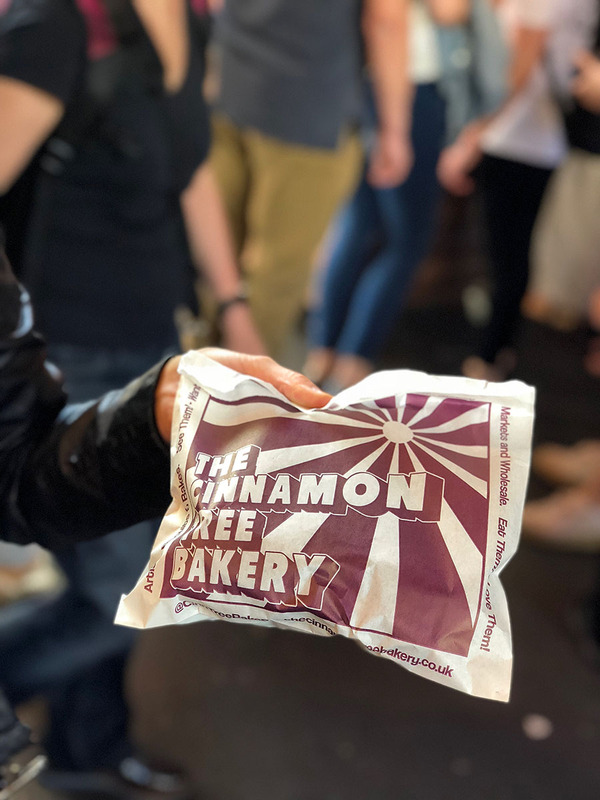 There was a lot written about the best food in Borough Market, but not that much about the delicious cakes you can get there. 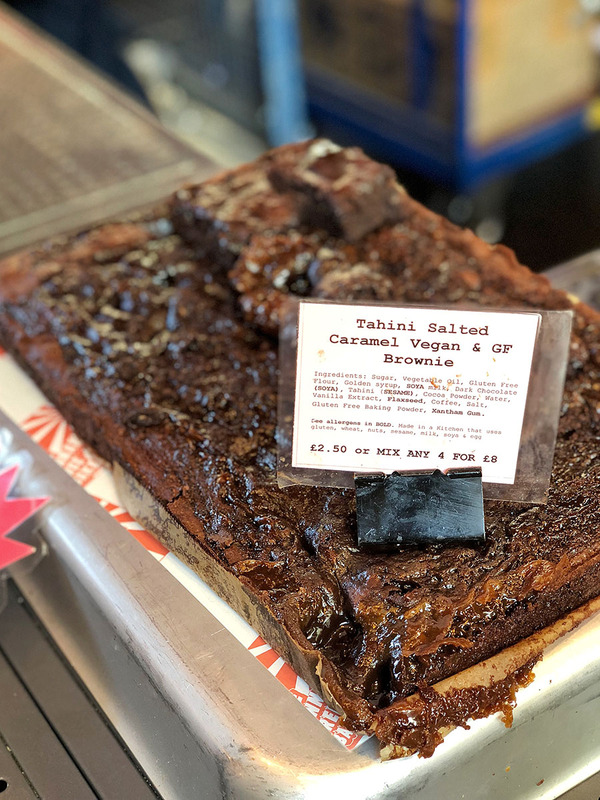 I visited Borough Market to map all the best cakes, ice creams, and coffee you can eat and drink there. Be ready to spend a lot. 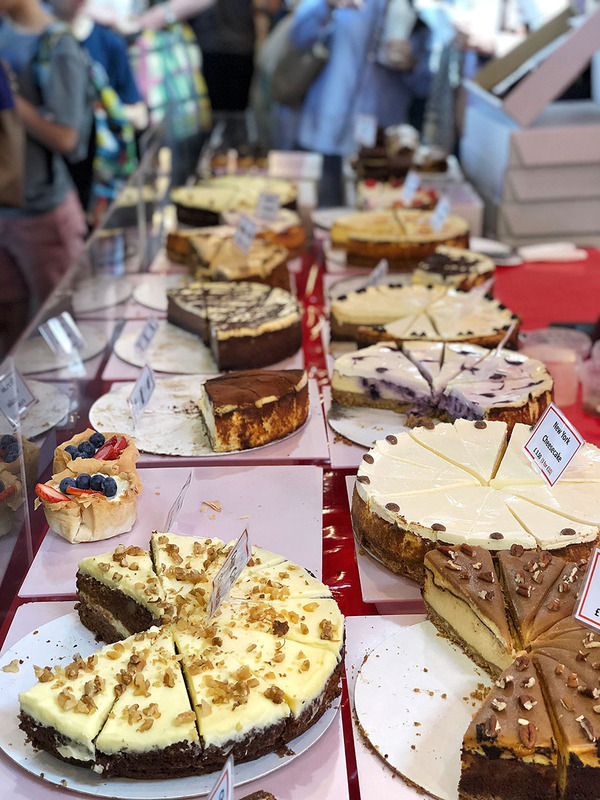 Cakes are not cheap at the Borough Market, but everything I tried was extremely good and of high quality. The market, like everything in London, is bustling. Especially on the Saturday. There is no way how to avoid it. 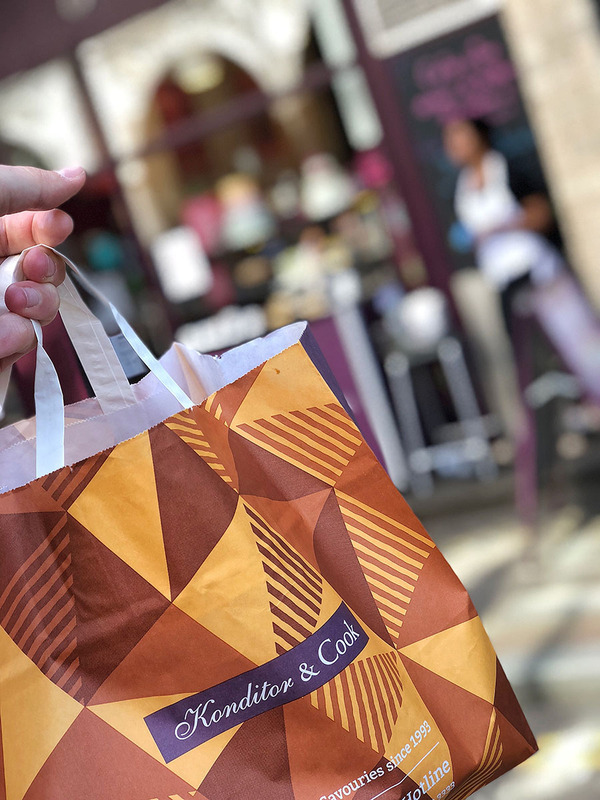 Just enjoy the great London market experience. The first stop on my list was the famous Bread Ahead bakery. 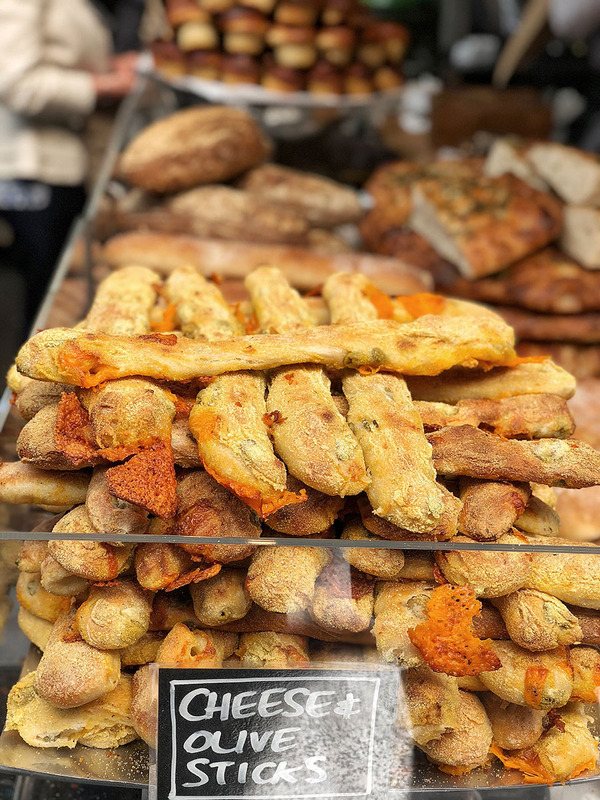 They are well known for baking amazing bread, and my wife loves their cheese and olive stick. 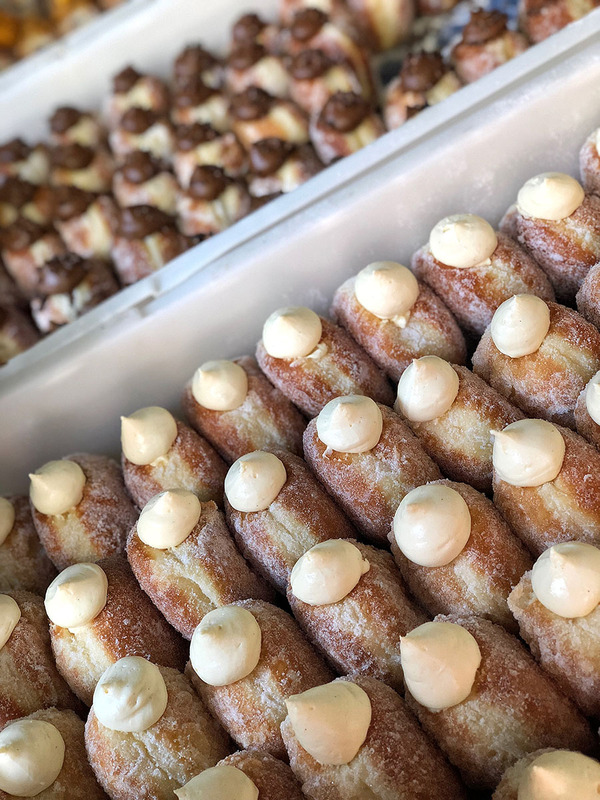 However, for us, desserts lovers, they are famous for their absolutely stunning doughnuts. 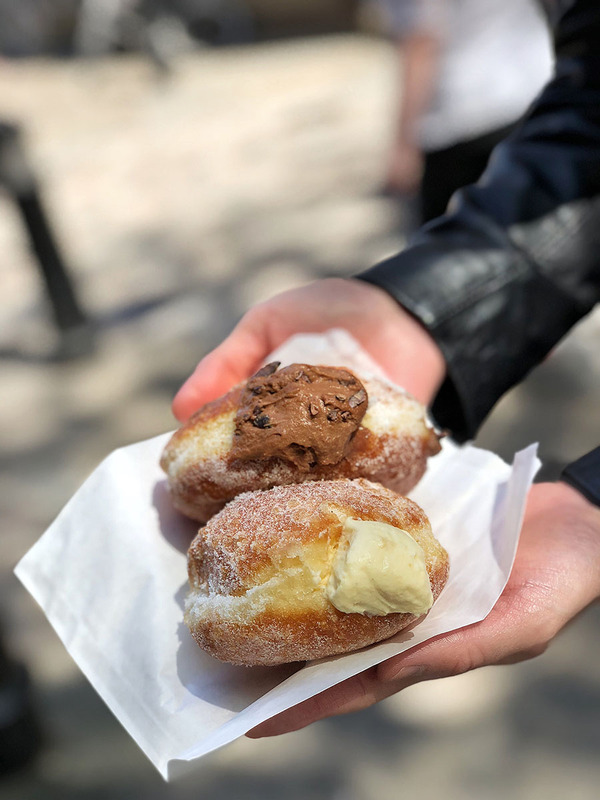 In my opinion, one of the best doughnuts in London. They are fresh, not too sweet, with a lot of cream rich with flavor inside, photogenic and just the right size. The recommended doughnut is with vanilla cream. There is something magical about this pure flavor which just works. I also like the vanilla flavor the most, but don't get discouraged by that. All other flavors I tried were equally delicious. One Bread Ahead doughnut goes for £3. 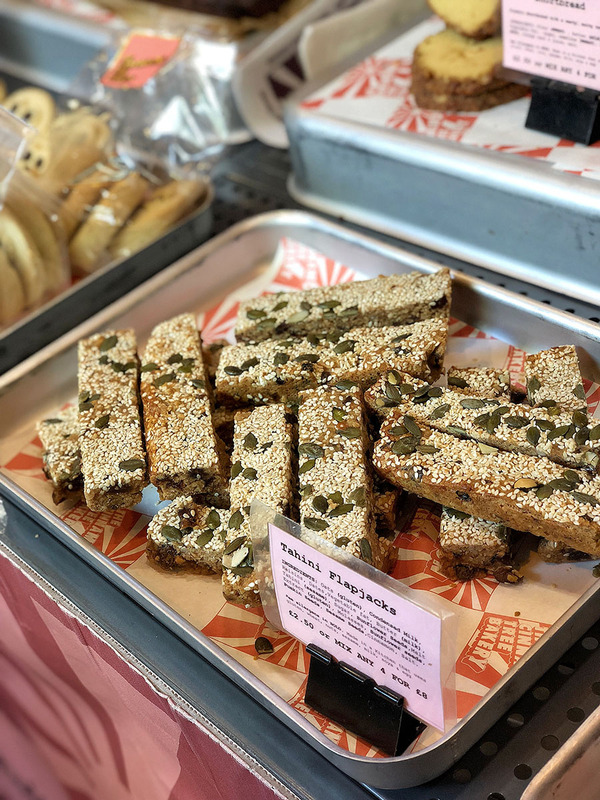 If you are visiting Borough Market during the summer, you need to stop at the Greedy Goat. There are not many mentions on the internet about this ice cream gem in the middle of the Borough Market, and I don't understand why? As you can guess from the name, they do ice cream from the British goats' milk. It gives it creamier and a little bit thicker consistency. I went for the recommended flavor, which is Salted Caramel and one additional seasonal banana/pecan flavor. Both flavors were unquestionably good. They have the flavors absolutely right, plus the use of goats' milk makes it a very distinctive experience, well worth £3 per scoop. 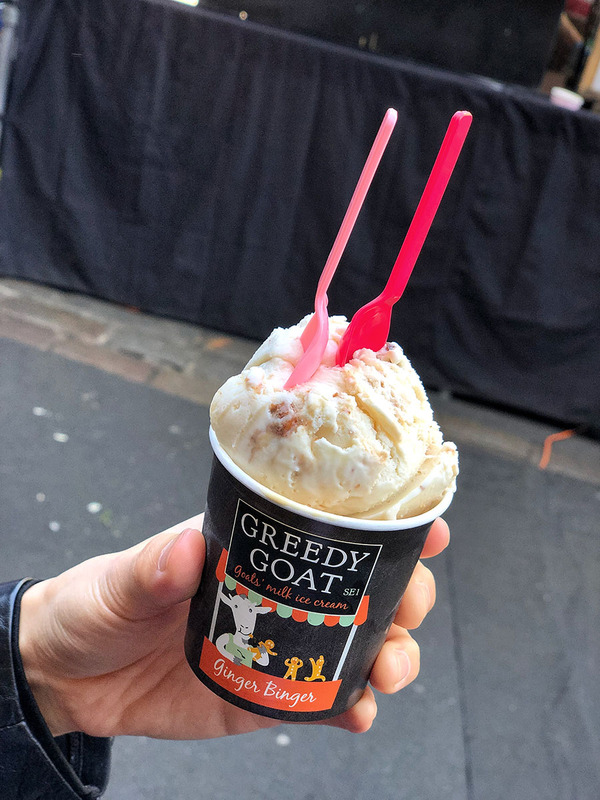 Ingredients used in Greedy Goat are of the exceptional quality, and with the 30% lower lactose content in goat milk than cow milk even lactose intolerant people should be able to enjoy this ice cream. 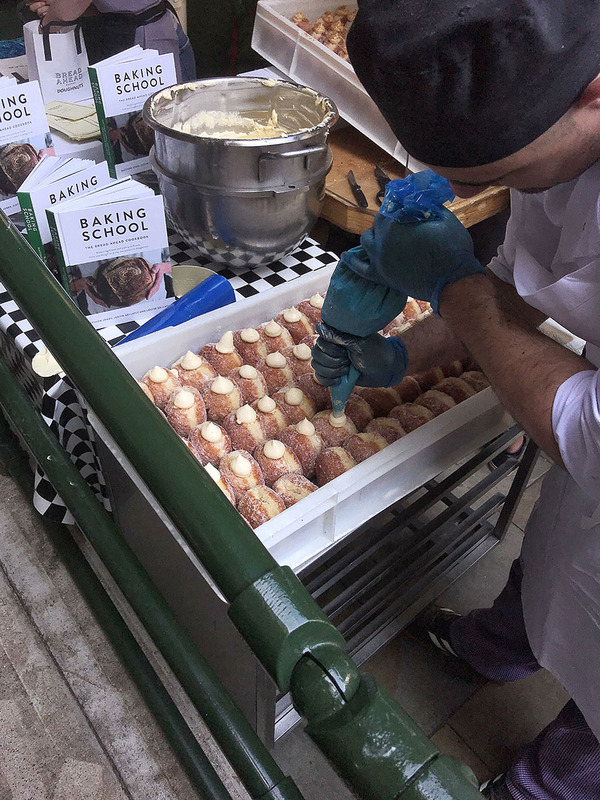 It wouldn't be Borough Market if there wouldn't be some other option. 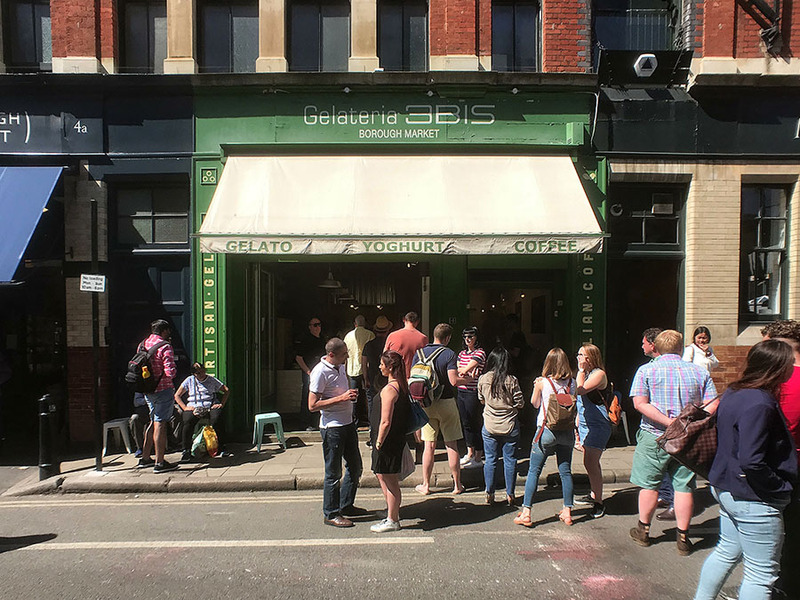 Gelateria 3Bis has one of their branches in Borough Market as well, and their gelato from the finest ingredients from Italy is undoubtedly one of the best gelatos in London. A small cup of gelato costs £2.7. Expect some long queues during the summer months. 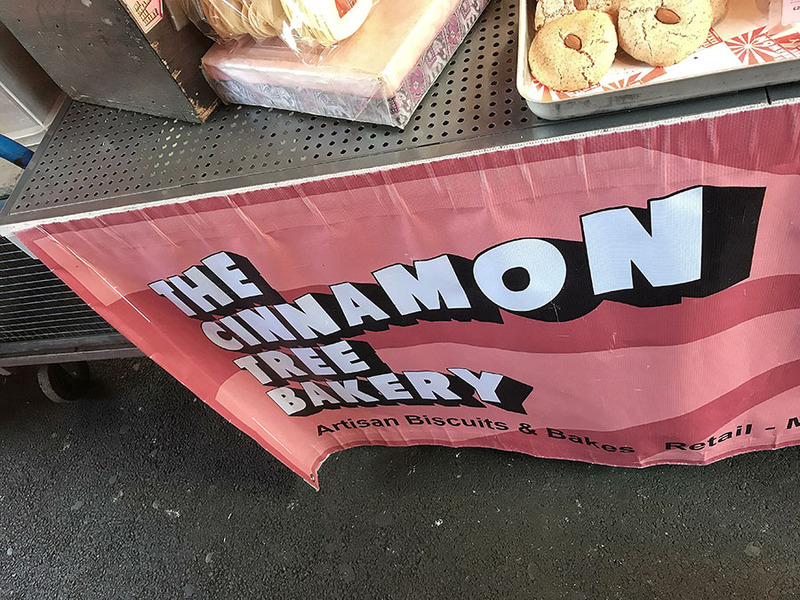 The Cinnamon Tree Bakery is famous for their artisan biscuits and cakes. 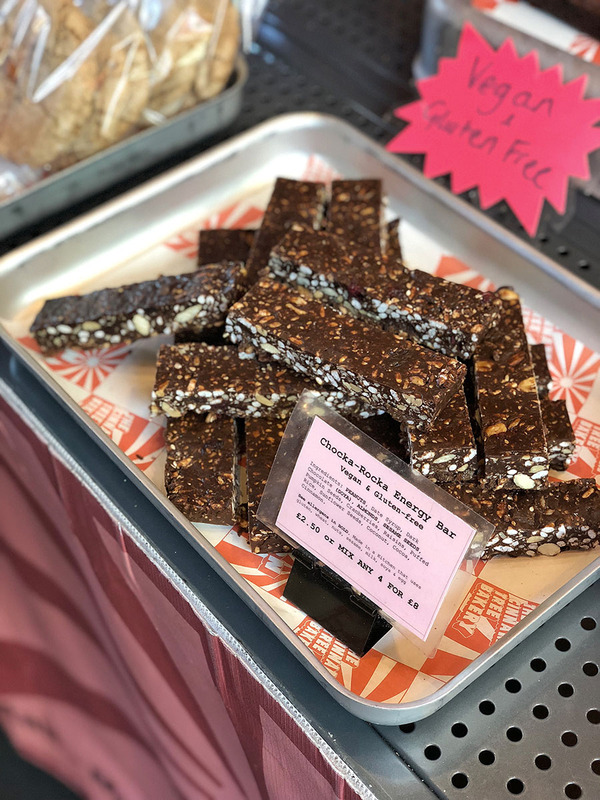 I always go for 4 for £8 and buy Tahini Flapjacks, Vegan and Gluten-free Energy bars and Salted Caramel Brownies. I usually take it home for my next day after breakfast coffee time as they easily stay fresh for a longer time than other cakes. Don't get discouraged by the attitude of the French owner of the stall. He is not the friendliest, but his product is excellent. 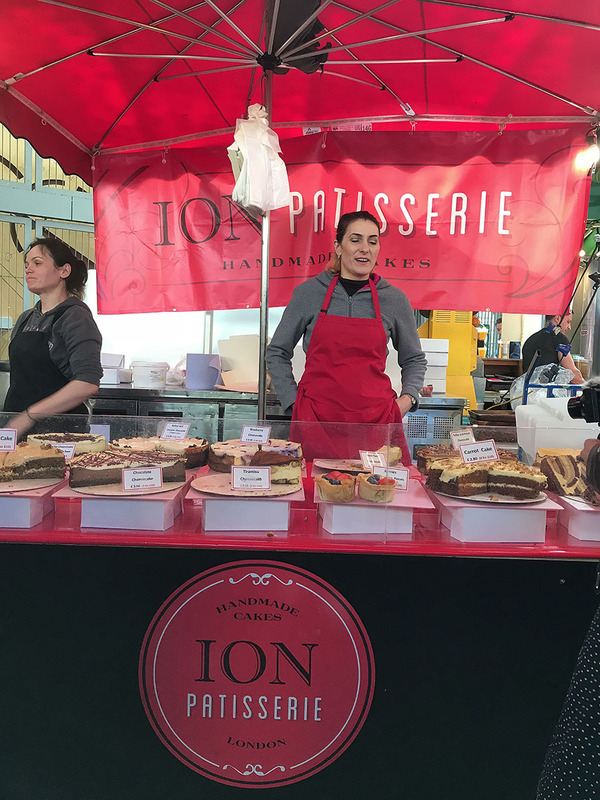 Right opposite the Cinnamon Tree Bakery is the ION Patisserie which primary focus is handmade cakes. 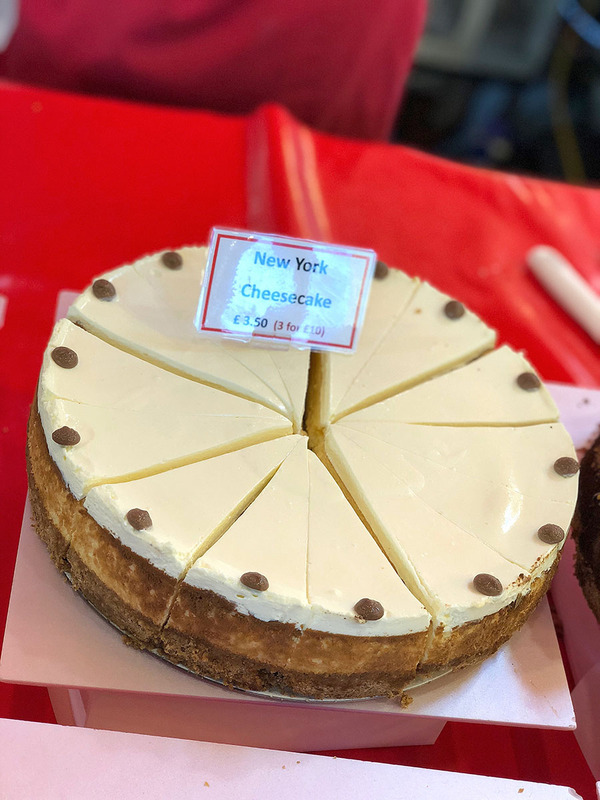 Their top seller is the New York cheesecake and trust me, the internet is right. It is one extremely good cheesecake. Absolutely delicious and possibly one of the best I ever had. After a handful of cakes, I had to have some coffee. Monmouth Coffee is very popular in London. Their coffee is absolutely fantastic, and I stop at Monmouth Coffee every time I go around one of their branches. I also come here often to buy some beans. 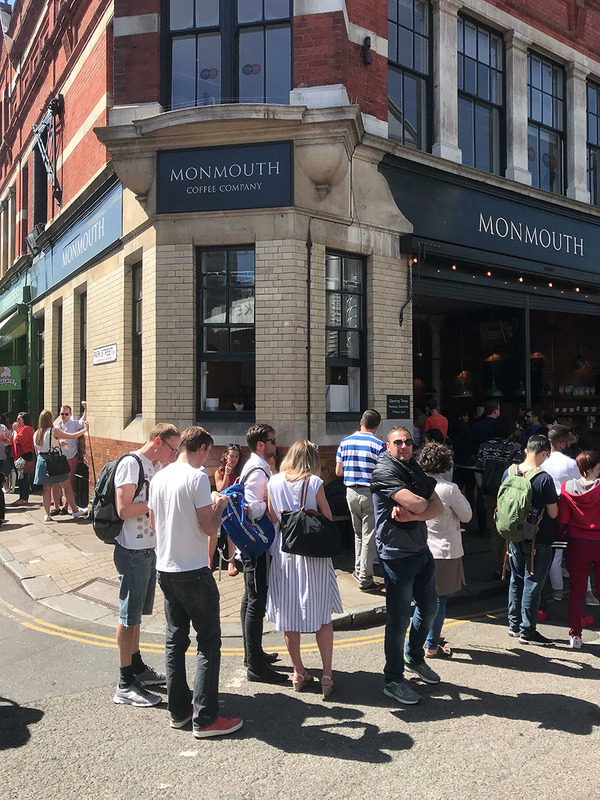 If the long queues are the sign of a good quality, then be ready, because Monmouth Coffee has one of the longest in Borough Market. 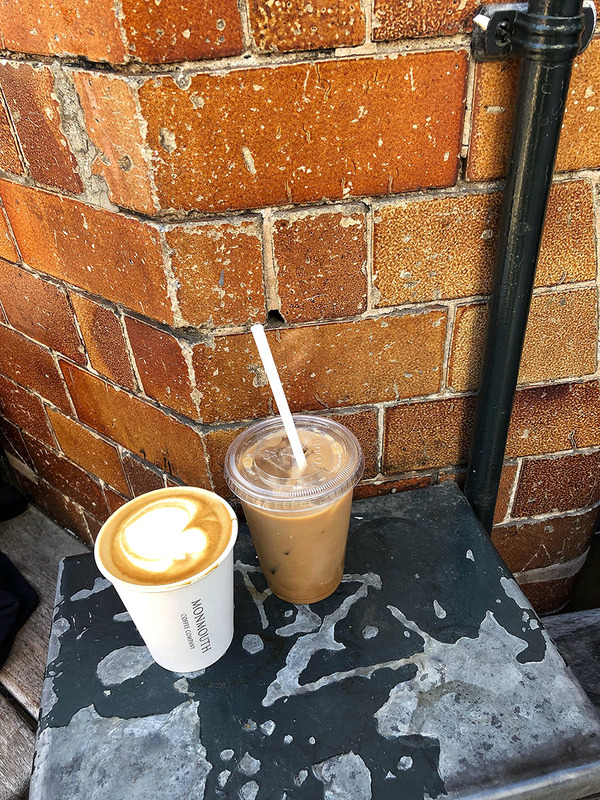 One Iced Latte at Monmouth Coffee Company costs £3.6. 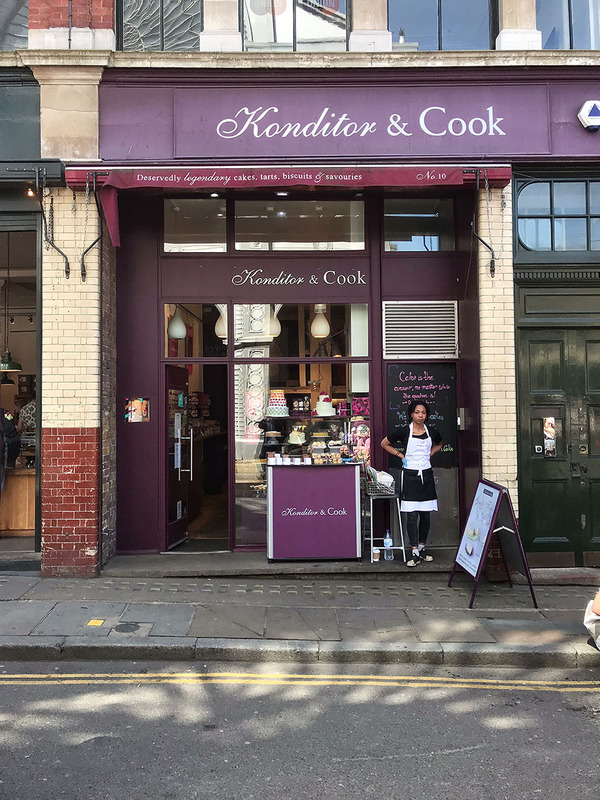 Konditor & Cook brownies were the first brownies I tried in London, and since then I have a very high bar for brownies. These brownies are exceptional. My absolute favorite is the Boston Brownie with tangy cranberries. This melting rich chocolate brownie with some sourness from cranberries is sweet and fresh at the same time. Yes. 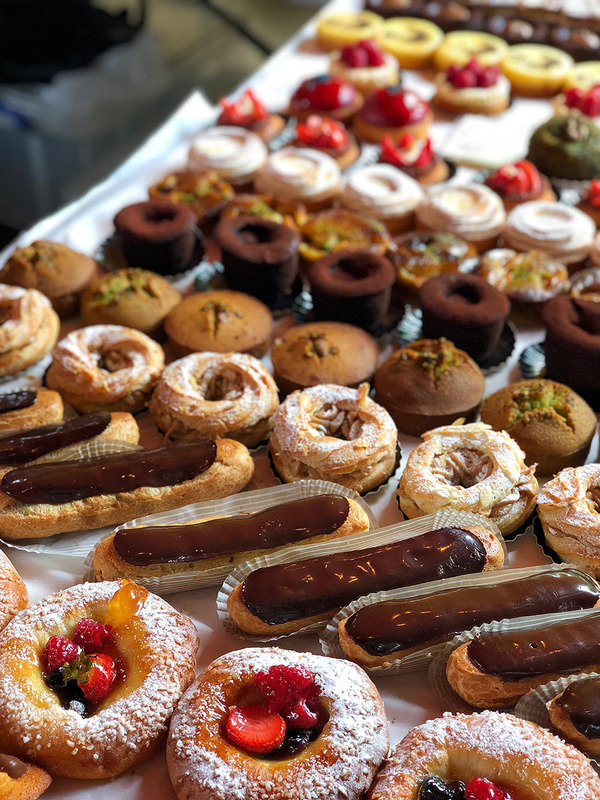 You can get French pastry in Borough Market as well. Nowhere else then right in the heart of the market, I found this stall overflowing with fantastic cakes and pastries. These cakes not only look great but taste glorious too. 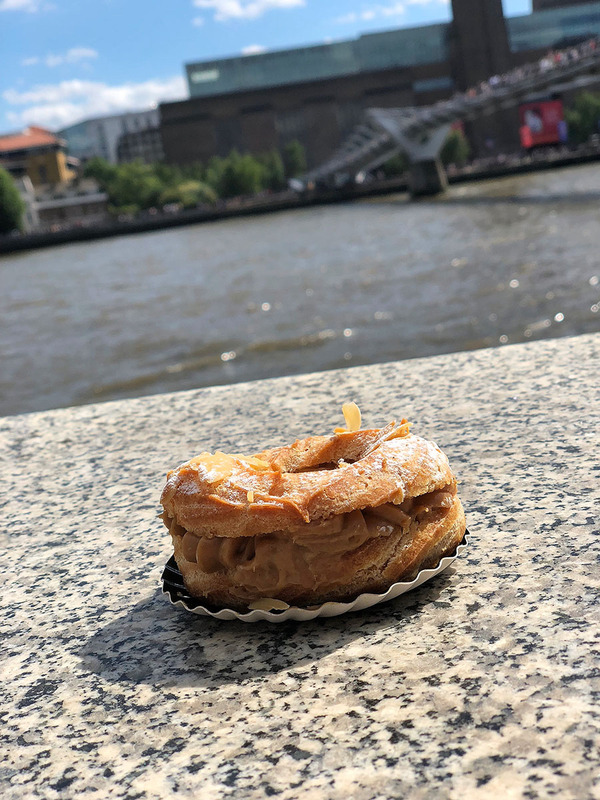 I tried the recommended Paris-brest choux pastry filled with Hazelnut Praline Cream, and it was scrumptious. 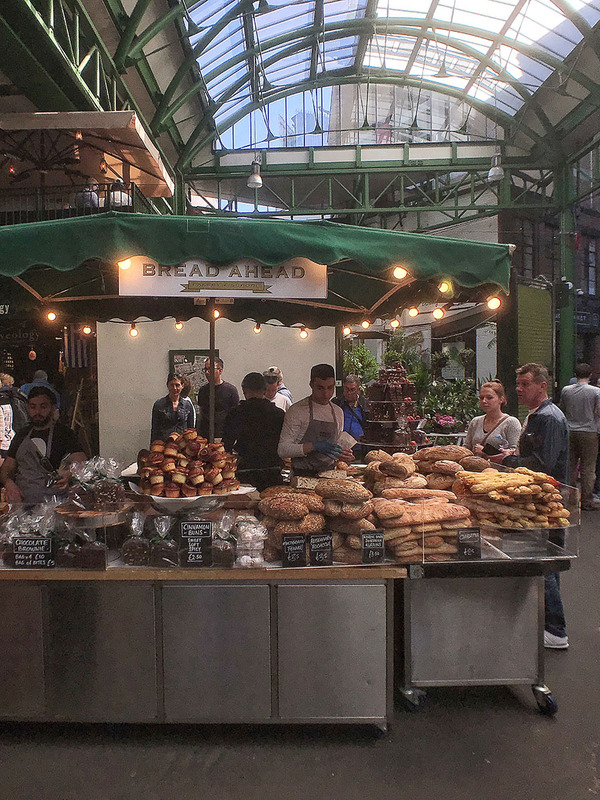 London is a truly international city, and Borough Market is no exception. One minute you are slobbering around the stalls in Borough Market, and suddenly you are in Argentina. No, I am not talking about the platform 9 1/2. 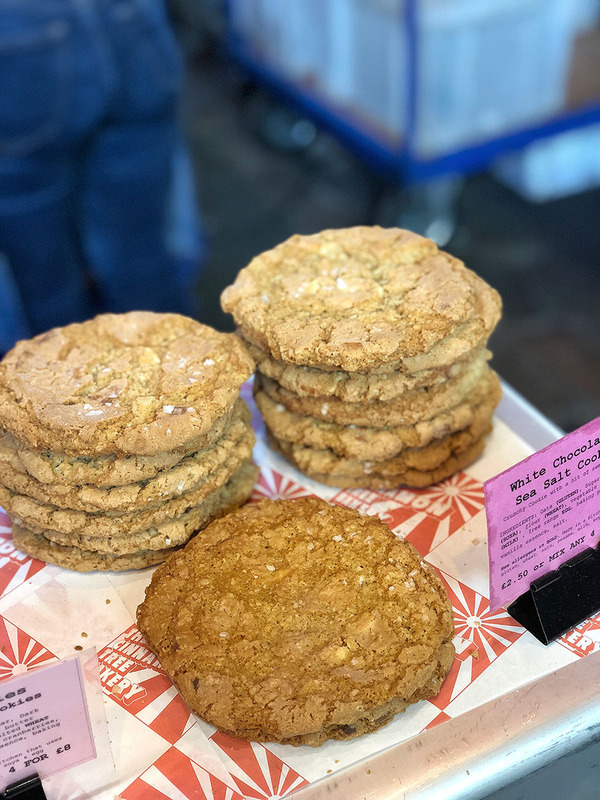 This magic can happen in the Borough Market as well. 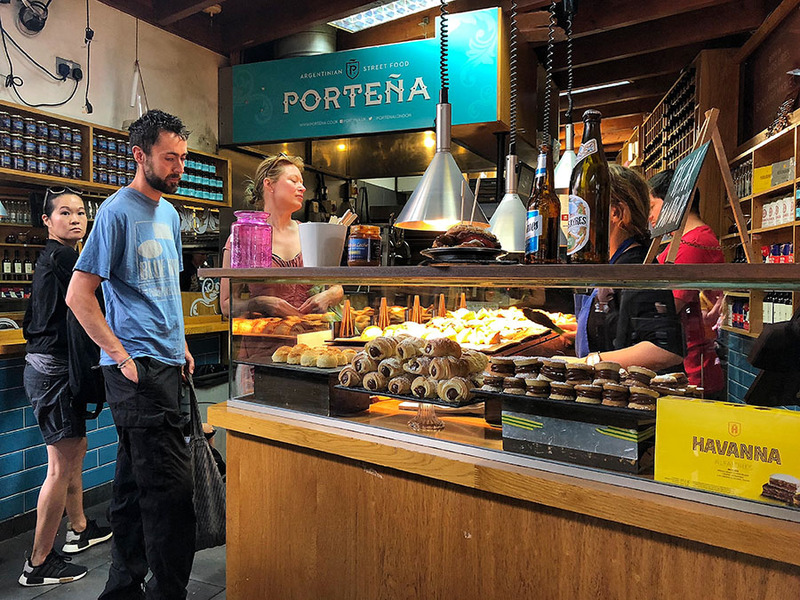 Visit Porteña, and you can experience some delicious Argentinian street food desserts. Alfajores or cañoncitos, filled with the eye-watering delightful dulce de leche. I prefer alfajores. Two biscuits glued together with dulce de leche. A little bit crunchy and creamy at the same time. A perfect dessert. So, stop checking the plane tickets. Head to Borough Market and travel to Argentina for £1.2. Just be ready that after two bites you will be back in London. Alfajores in Porteña cost £2. Borough Market is a vast and bustling market. There is much more there than you can try in one visit. 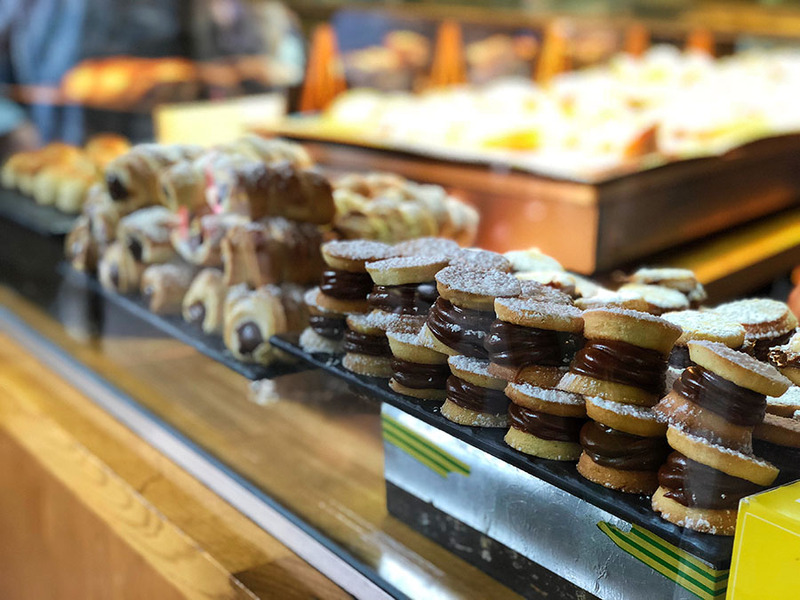 However, this list definitely picks the best of cakes and desserts you can find in this famous market. 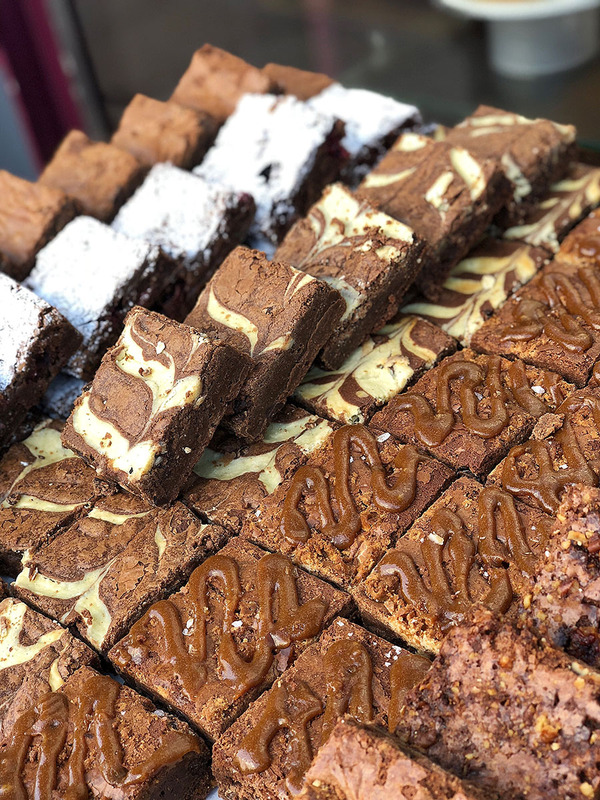 If you are visiting London, visit Borough Market without any hesitation and, please, let me know which cakes you tried. Full market is open on Wednesday – Thursday from 11 am – 5 pm, Friday from 10 am – 6 pm, and Saturday from 8 am – 5 pm. © 2016 – 2017 Lio Software Ltd. All rights reserved.